News & Media Let The John Smith’s Stadium take care of your festive celebrations! In 2018 we welcomed over 2,474 guests across 8 nights here at The John Smith’s Stadium and we want to make 2019 even better. This December we have a range of great Christmas parties on offer at the stadium. Why not join one of our sharer nights and chose from a great event with a buffet menu and DJ or a three course seated menu with either a DJ or band on either a Friday or Saturday night. Our live band party nights cover dates, 30th November, 6th December, 14th December and 20th December which includes a festive three course dinner menu, tea, coffee and mince pies, festive decorations and novelties, late bar, live band, DJ and disco. From £35.95 per person. 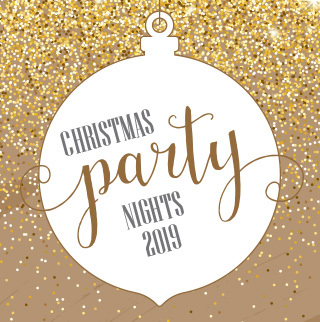 Our disco party nights cover dates, 29th November (Buffet), 7th December (Three Course), 13th December (Three Course) and 21st December (Buffet) which includes a festive three course dinner or buffet menu, tea, coffee and mince pies, festive decorations and novelties, late bar, DJ and disco. From £26.95 per person for the buffet and £31.95 per person for the dinner. Alternatively, you can join us for a private party, where we have a range of suites available for a variety of guest numbers, so I am sure we can find your ideal space, all available to hire throughout November, December and even January. Whether you are wanting to let your hair down after a long year of hard work, or party the night away with friends and family we have rooms to suit all. The Revell Ward Suite is our largest room on site and holds up to 320 guests. Our Fantastic Suite has a great view of the pitch and holds up to 120 guests and our intimate John Smith’s Suite holds up to 70 guests. We also offer great festive tea packages in our Legends Café Bar which is NEW for 2019! Enjoy a festive take on the traditional afternoon tea, where you can relax and enjoy the afternoon with family and friends. Served between Monday 18th November and Friday 20th December 2019, 11:30 – 15:30pm. Also new for 2019 is our Christmas lunch menu, whether you are meeting up with friends or you are wanting to escape the workplace with colleagues, we have a delicious Christmas lunch available at The John Smith’s Stadium. With novelties and a great atmosphere you are sure to get into the Christmas Spirit.